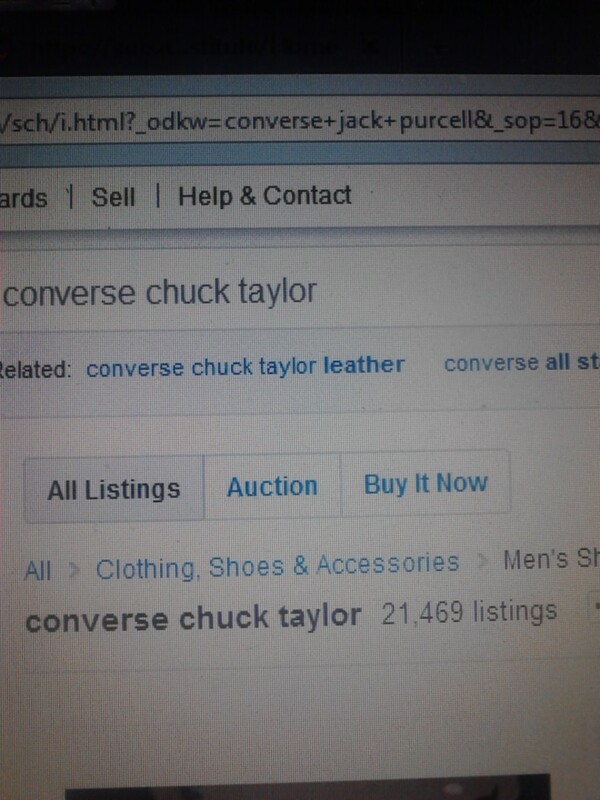 EBay is surely one of the most recognisble symbols of the information age in which we now live. Compared to most other familiar internet household names such as Amazon, Facebook and YouTube, it’s been around for quite a long time and continues to rise in popularity. Where else on the net can you not only buy items, but also sell them very easily? What sets it apart from Amazon, for example is that there’s no limit to what can you sell. I remember a friend of mine at college buying a car off eBay; obviously it’s not the kind of thing you can pick up at the post office, so he had to drive to Norwich to pick it up, but still eBay is the ultimate online business tool with the potential to turn anybody into an entrepreneur. I’m a relative newcomer to the world of eBay, only signing up at the start of 2012. I remember having a little nose around beforehand and raising my eyebrows at some peoples’ profiles which stated that they’d been a member since 2001. My God! I thought, this person was buying and selling on here when I was still a schoolboy. So what compelled me to finally join the world of eBay? Well, in plain and simple terms it was money. At the start of the year I was a little strapped for cash so I needed to try and supplement my income somehow. I trawled the internet and clicked onto a website that talked about how to generate extra money legally during a recession. The website basically said that all of our houses are potential goldmines, full of things that in all fairness we do not need, so why not sell them on eBay. The penny dropped, I signed up and quickly started combing the house, trying to root out anything that I would be prepared to part with. eBay of course started as an American enterprise, but today its global. This is the British website which I personally use. So, here I am just over six months later, and it’s certainly been an interesting six month stay in the eBay community. Thus far, I've only sold items, I've haven’t as yet been tempted to bid on anything, but maybe in the future, something might crop up that tempts me. Now, to the million dollar question, have I learnt anything from eBay? The short answer is yes. Just like anywhere on the Internet, and indeed life in general you meet a wide range of people, all with different personalities and motives. Below, I will outline several good and useful tips for anyone who is interested in trying to sell items on eBay. Research: For the most part, I've sold items that I already know plenty about, in my case that’s books and DVD’s. So I haven’t had to exert myself too much on research, but every so often you may try and sell an item that falls well outside your knowledge range. For me, that’s clothes, jewellery and handbags. I can’t stress enough just how important it is to research items that you’re largely ignorant of, because supplying the right information to a buyer can make the difference between a successful sale and somebody complaining that the item is different to what was described. Another good research tip is to conduct a search for the item you’re trying to sell, to see if anybody else is selling it. This can be useful when trying to find an appropriate description of the item, but more importantly look at how much they are selling the item for. Try and sell your item for roughly the same price as everyone else, because if, for example you’re selling a book for £7.99, but everyone else has got it listed at 2.99, your chances of selling it decrease dramatically. Refunds: Okay, so let’s say that you've sold an item, received payment and posted it off successfully. You feel quite happy with yourself; firstly, that you've made a nice little bundle of cash and secondly you've rid your house of something you don’t really need. But then, maybe a few days later, you discover to your horror that for whatever reason the buyer wants to return the item. In my experience, most people have returned items either because they simply changed their minds, or by claiming that they’re damaged in some way. Sometimes my own incompetence has led to a refund, as in the past I've failed to do the proper research and ended up incorrectly describing the item. So, what do you do when you get that dreaded message asking for a refund? You can try discussing the issue with the buyer, but this is only relevant when they claim that an item has been damaged. I remember selling a pair of black, leather cowboy boots that had belonged to my mom. The buyer asked for a refund, claiming that the sole had come away from the boot. I sat there bemused; I had checked the boots personally before sending them and found nothing untoward whatsoever. I asked the buyer if they would be kind enough to post some pictures of the damage. But I wasn't surprised when they told me that their web-cam wasn't working. In the end, I agreed to a refund. Remember, if somebody asks you for a refund, tell them that you’ll agree to a refund, but only once you've received the item back. One good way of saving time on this issue is putting a return address on the back of the package, so the buyer doesn't have to ask you for one. Communication: On eBay, possessing good communication skills can make the difference to becoming a successful seller or not. On certain items such as clothing and jewellery, people will undoubtedly ask questions, because of the expense, but also due to the fact that people wear these items, and admittedly eBay cannot fully replace the experience of going into a shop and actually seeing and trying them on. But by answering questions properly, you provide a good substitute and also help put both yours and the buyers mind at rest. Very often, people will ask you questions about things that you never thought of; for example, when trying to sell a handbag, stating its measurements is not something that instantly comes to mind, but I remember being asked the same question about half a dozen times, so I went ahead and stated the measurements. Even more surprising was when I was asked to measure the diameter of a watch face, but in order to be a good seller you have to do these things. 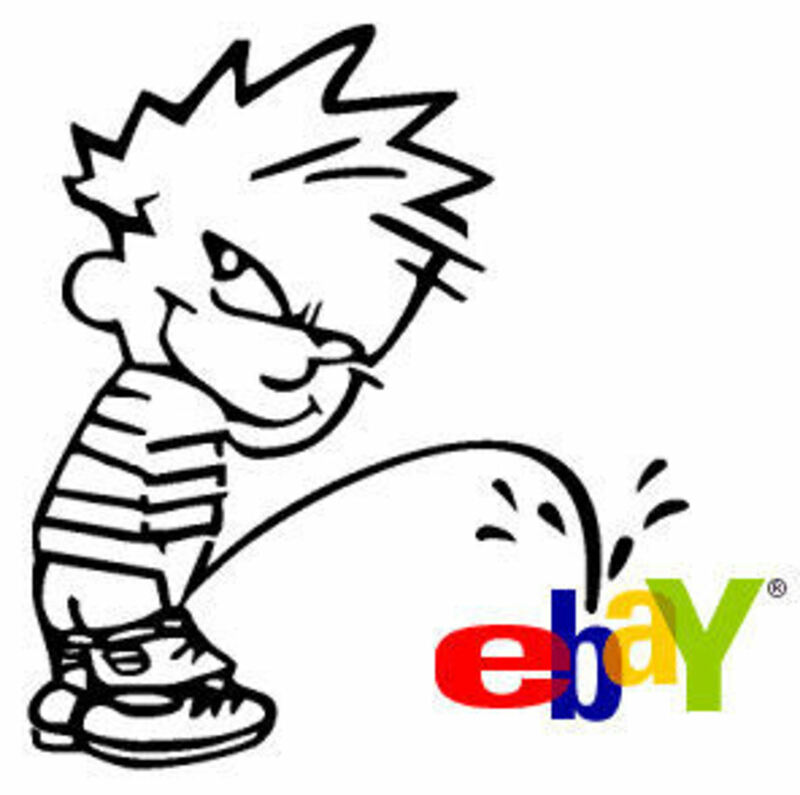 People in general appreciate honesty, and so if you want to become an effective member of the eBay community, then you must be honest right from the beginning. For example if you've sold an item and then something untoward happens to it, such as a breakage, don’t send it hoping that the buyer won’t notice, because they will. The best way is honesty, if anything does happen, then contact the buyer, tell them what happened and ask if they would still be prepared to accept the item, if not, then take the appropriate action. I learnt this when I sold a vintage toy car for £80, I was so overjoyed, but that joy soon evaporated, when I accidentally snapped the steering wheel off, while cleaning it. At first, I was at a loss at what to do, but after regaining s little bit of rationality, I decided to contact the buyer to inform them and ask whether they’d still accept it. I prayed for yes, but it came as no surprise when I received a negative answer. I had no choice but to refund. But still, the silver lining was that the buyer contacted me the following day, thanking me for my honesty, so that made me feel a little bit better. Beware of scams: Have you ever heard the one, about some poor old lady who gets a letter in the post telling her that she’s won the Spanish lottery and all that she has to do to claim her winnings is send her account details so that they can transfer the money into her account. The old lady clearly excited proceeds to send her details, fully expecting to become rich very soon. But the reality is that she has been scammed, they've now got her account details, so they proceed to drain her account of every last penny. It’s probably one of the most despicable things that you can think of, but unfortunately it’s something that happens all too often. On eBay, you may think you are safe from such things, or at least I did. But sadly this is just not the case. I recently dodged a very expensive and apparently very common bullet. I was trying to sell a relatively expensive watch priced at around 65 pounds; astonishingly I received a message within minutes of listing the item, saying they were interested in it and asking me how much it cost. I wrote a quick reply, stating the price and didn't think any more of it. Several hours later, I got a reply asking whether I would be prepared to sell the item for 70 pounds, my eyes lit up straight away, I agreed and sent a message back asking for a delivery address. I must admit my eyebrows rose when I read that the address was in Nigeria, I had heard of scams coming out of Nigeria before. But I decided to be open-minded, and not to allow prejudice get in the way of business: ‘This one could be genuine,’ I thought to myself. Next, I received an email from ‘PayPal’ stating that they had debited the buyers account, but needed me to dispatch the item, and then supply a shipment reference number, before they could credit my account. Somehow, at this point I still hadn't cottoned on to the fact that I was being scammed. I actually checked my PayPal account, and found no record of payment. But still, like a half dazed imbecile I asked my mom to send the watch, even stressing to her to keep the receipt, where this shipment reference number is apparently found. Fortunately, the local postmaster was both switched on and also very honest, and as soon as he saw the Nigerian address, he told me mom straight that she was being scammed and refused to send the parcel. Later that day, after returning from work, I finally learnt the horrible truth. It was as if I’d awoken from a dream, which nearly turned into a nightmare. I then turned detective, scanning all of these weird emails, looking for anything that seemed out of place, the first seeds of suspicion were sown when the ‘PayPal’ email were addressed to my eBay ID name, rather than my real name. The clincher came though, when I received an email from eBay telling me that this ‘buyer’ had probably hijacked someone’s account and urged me not to respond to any emails from them. That was it! I was fuming, but not at eBay, but rather myself for nearly giving away a 60 odd pound watch for nothing. All of a sudden, the scam opened up before me, I could have supplied the ‘buyer’ with any number, and I would have never have seen any money. Days passed, I kept getting emails from the ‘buyer’ and ‘PayPal’ all stressing urgency, but trying to remain polite at the same time. The ‘PayPal’ emails however, did contain the threat that if I did not send the item within 24 hours, then both my eBay and PayPal accounts would be suspended. I must admit that my heart did jump a little at that thought, but my rationality reassured me that this was just scare tactics from a person who probably suspected that they had been rumbled. In the end, after reporting the person to both eBay, PayPal and Hotmail, the emails ceased and to say I breathed a huge sigh of relief is an understatement. So the golden rules are, always sell through eBay and never dispatch an item until you have received payment for it. If you get any emails from anyone asking you to sell the item outside of eBay, treat it with the suspicion it deserves and delete them accordingly. Further information from PayPal helping you to spot and combat online fraud. Online fraud usually begins with someone sending millions of phishing emails disguised as messages from a trusted company or brand. A highly rated website from money saving expert Martin Lewis that explains how to sell unwanted items on eBay effectively and cheaply. You cannot buy and sell on eBay without a PayPal account. So this link provides guidance for anyone who has not yet got an account and is unsure on how to get one. Pictures: Always take your own pictures of any item you’re trying to sell. Make sure it’s nice and clear and set against a plain background, so that the viewers’ attention isn't diverted in anyway. Don’t go overboard and take loads of pictures, because while eBay allows you to upload one picture for free, it’ll charge you for any extra (the limit is 12 pictures). Don’t be afraid of taking pictures of items with wear and tear, allow people to view them clearly, as you will gain a reputation for honesty and thus receive good feedback. Keeping eBay Fees Low: eBay charges you a small fee for listing items, but if you enter 99p as a starting auction price, then you can insert items for free. 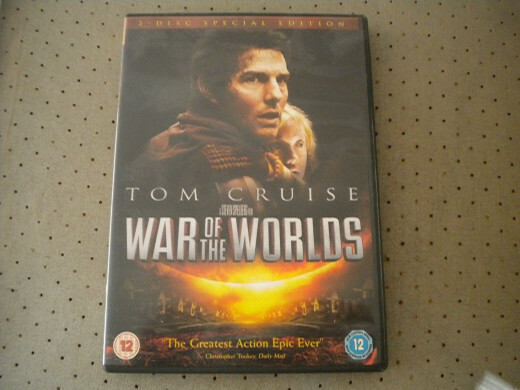 However, all ‘buy it now’ cost a flat 40p to list, while media items cost 20p. But what happens, when you've got a load of expensive items to sell? Well, the best way to get round that is to look out for eBay’s ‘free listing weekends’ where all insertion fees are waved, allowing you to go nuts essentially. If you’re not around on such a day, then you can schedule your auction to start on that day for as little as 6p. EBay and PayPal charge fees for items that sell, there’s little you can do to avoid sellers fees on eBay, it’s the price you pay for being able to buy and sell safely on the net. But you can provide buyers with the option to pay by cheque, which helps to avoid the fees charged by PayPal, which can be as much 3.4 % of the amount, plus 20p for every transaction. It must be noted that you cannot buy and sell on eBay at all without a PayPal account, so before signing up for eBay, you need to create an account, which is fairly easy. There is a useful online tool called Ecal, which can help make sense of the often confusing fees and give you an idea of the costs incurred when selling an item. When used in the correct way, eBay is a fantastic tool to make a considerable amount of cash, and also it saves on just throwing away ‘old’ or ‘useless’ items. Remember, just because you no longer have a use for something, doesn't mean it can’t be useful to someone else. Surely in a world where the build up of garbage is becoming an increasing problem, recycling certain things we no longer need is one way we can help to keep our environment clean. I’ll now finish this hub, by saying simply: Happy eBaying. No problem Sarah, glad to have been of service. Thanks for dropping by. wow, very useful and detailed hub! I'm looking to sell some items on ebay and this was very handy! Thanks Anthony, I actually read that these scammers tend to target people new to eBay and also people trying to sell expensive items like what I was doing. With the refunds I hate playing games with people, if they don't want it, then I just tell them I'll give them a refund once I've got the item back, then I'll relist it. Thanks for popping by. Thank you noenhulk and thanks for the follow too. Thanks for the useful tips. Really really great tips! I voted up your hubs. Thanks for the share. Very good Hub, I had the same thing happen me when I was selling my old phone. I received an email saying a payment had been sent to my paypal account but when I checked it there was noghting there, so I emailed them back and simply said the item won't be posted till the money hits my paypal account, nothing more came of it and I sold it to the 2nd highest bidder. One point is that they try to scam people that are new to ebay, due to you having very little feedback they must have thought they could catch you out due to inexperience. On the refunds part, you have been very kind to the people looking refunds, I have had people come back saying a phone I sold them is locked to a certain network but even though I checked it before I listed it, in these cases were a dispute occurs I finally agree a partial refund rather than a complete one and even that is being kind. You're absolutely right Jools, unfortunately there's no hiding place from scammers. The best thing you can do is remain vigilant, and trust your instincts. If I'd have listened to the alarm bells ringing in my head as soon as I saw Nigeria, then I wouldn't have come so close to being scammed. James, good tips her for anyone deciding to go down the ebay selling path. My sister did it quite successfully for a year or two, selling women's and children's clothes. I know it would not be for me though. The scam story is a bit scary isn't it? There are too many people out there only too happy to rip us off! Thanks Chris, yes a lucky escape there. I've since made moves to block anyone from the Western African countries from bidding or contacting me on eBay. So hopefully that'll be the last time anyone tries to scam me. Thank for popping by as always. Thanks Jean, I've got some old China too, but I'm a little hesitant about selling them on eBay, especially after the scamming episode. But its probably the best alternative than going to a dealer who may only be prepared to pay a pittance for them. Thanks PickingProfits, yes you're right, most of the time its a case of looking after yourself and learning as you go along. I remember reading also, that these scammers tend to prey on inexperienced sellers like myself, guess I was the online equivalent of the little old lady. I was just glad that I managed to escape. Very useful James. I'm glad you avoided being scammed that time. I'm not selling anything at present, but if I am in the future, I will know where to get the best advice. Your excellent article. Thank you. Thanks for all the good info! I have never used Ebay, but have a lot of my Mom's old china, and many other dust collectors that someone else might be interested in. Plus a little extra cash is always nice. Your Nigeria experience sounded scary, glad you played it safe! These are great tips for sure. That is a scary story about the watch! I never ship international but will probably have to start soon... I can't stress enough how easily you get scammed when selling on Ebay and there's nothing you can do about it most of the time sadly. I just got scammed selling on Amazon. I find that buyers scam you more easily and more often when an item is used rather than sealed new. These are the frustrations of business though!